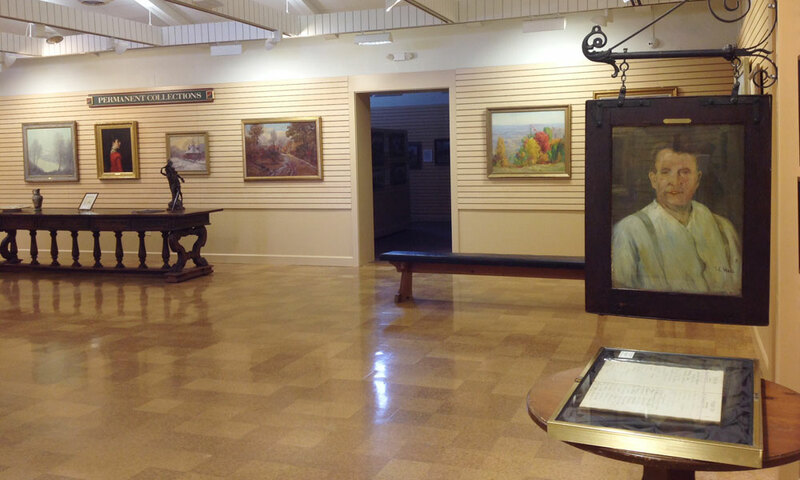 The Brown County Art Gallery Foundation has 400 paintings and artifacts in its Permanent Collection. When the Gallery was founded by the early artists in 1926, many of the artists donated paintings and other items to the Gallery to create an ongoing exhibit. And 90 years later, the Brown County Art Gallery is still exhibiting the work of the early Indiana artists. The Permanent Collection has continued to expand with generous gifts from donors. A rotating exhibit of the early paintings, along with a number of fascinating historical displays are on display in the Permanent Collection Gallery on a daily basis.